Former UNC Tar Heel LaQuanda Barksdale Quick has been named Meredith College’s next head women's basketball coach. She began her tenure with the Avenging Angels athletic department on the road recruiting July 1. "We are thrilled to have a coach with LaQuanda's impressive background, both as a former WNBA player and as a coach," said Athletics Director Jackie Myers. "Her desire to be a head coach again matched perfectly with the timing for us at Meredith, and we look forward to following her leadership of our women's basketball program." After completing her four-year collegiate career under the direction of Head Coach Sylvia Hatchell, Quick was drafted into the Women's National Basketball Association in 2001 as a first-round selection with the Portland Fire and completed her professional career overseas. Most recently as the assistant coach of the University of West Florida, Quick helped lead the Argonauts to the program's first Division II Regional Championship and Elite-Eight appearances in 2017. Her defense ranked no. 1 in the Gulf South Conference for the 2016-2017 season, and three players earned All-Conference honors during her two-year tenure in Florida. Prior to heading south Quick served one season as assistant coach with the NCAA Division II Winston-Salem State University women's basketball program. With her direction on the defensive end of the court, the Rams finished the season ranked first in the Central Intercollegiate Athletic Conference, holding opponents to just 35.7 percent from the field. A native of Winston-Salem, Quick began her coaching career as an assistant with both the girls and boys basketball teams at West Forsyth High School and assumed the position of head coach of the varsity girl's program within two years. Under her six-year leadership, the Titans collected three consecutive conference championships. 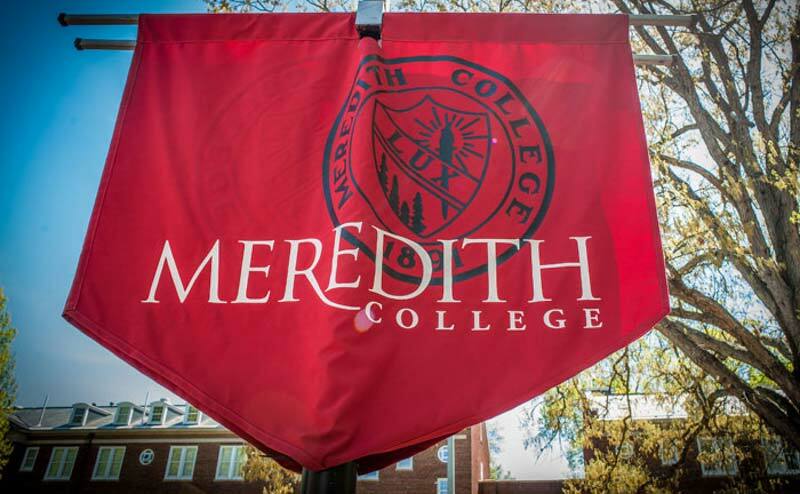 "I am extremely excited about my new role as head coach at Meredith College," said Quick. "My hope is to quickly help basketball catch up to the success of the other Avenging Angels' teams. I can't wait to get started on building a championship program." During her career with the Tar Heels, then LaQuanda Barksdale earned All-America first team honors in 2001 and was a three-time All-ACC selection. She was named to the All-Tournament team in 2000 and 2001 after leading the ACC in scoring both seasons and was selected to the league's 50th Anniversary team. She was the second-leading scorer in the World University Games in 1999. UNC honored Barksdale's #33 jersey in 2009.